The immense cacaphony of noise that “All businesses will be digital businesses” needs to be contemplated seriously. I have heard this a number of times and in a number of places, and want to make a point on this … as it relates to strategy. All businesses are NOT digital. There are those that serve digital markets, and those that leverage digital to enhance their business. The IT backbone, services portfolio, and associated components are fundamentally necessary and mission critical without a doubt. The blurring of the lines though can negatively influence the strategy of the business. Saying “All businesses are digital” is akin to saying “All businesses are facilities & environmental”. Everyone would 100% agree facilities (building, power, air quality, etc..) are mission critical but we would not say that IS the business. Similarly, technology fits a similar role. I fear the blurring of this line will ineffectively shift internal resources and shift strategy in a manner counter to the business needs. Other fears? Other risks? What is the power of culture and percetion on a group and company – “Culture eats strategy for breakfast “, Peter Drucker. Thoughts and counters are welcome. This is an early impression and needs deeper consideration on how businesses can effect their long term goal. As the news cycle continues regarding the Target breach of 40ish million credit cards and 70ish million customer data records, a point came up that seemed relevant. 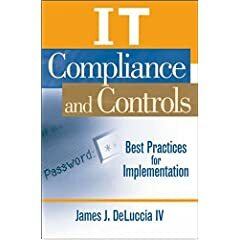 Perhaps it was that I was just working with a global organization implementing a more integrated and responsive security program, and the concept of RACI and competency was on top of mind… either way the question should be asked. What skills and competencies should Boards of Directors and Audit Committees seek, expect, and ensure exists with their data and technology leaders? Those at the engineering level, coding level, and such have very specific skills and knowledge is mandatory to perform. At the leadership level though, the progression to these positions crosses the whole spectrum (salesperson at Target for CIO) to technical individual having risen through the ranks (Google). Are you being supported to document what competencies you need to build (at EY we spend literally weeks on this topic with each person)? How often, if ever, have you rotated out of jobs to fit better with the 'new' operating structure? There are many more, but the point being … Attacks happen; Technology changes in exciting; Business models shift rapidly, and even the operating environments/partners are reinvented in all successful organizations. Therefore the leadership and teams supporting their execution must also swiftly respond to such demands, while maintaining the continuity of confidentiality, integrity, and availability of services. So, after writing for clients and my research being all consuming this past year I am re-focusing time in my day to share observations and thoughts. Why? Quite simply I learn more when I write; share, and get feedback then living in an echo chamber. How will this benefit the world/you.. simple, you will share in the knowledge I gain from sweat and toil and learn through the same iteration cycle as I.